The Hershey Lions conducted their annual Christmas Party and Charter Night on Tuesday, December 18th at Grace United Methodist Church. 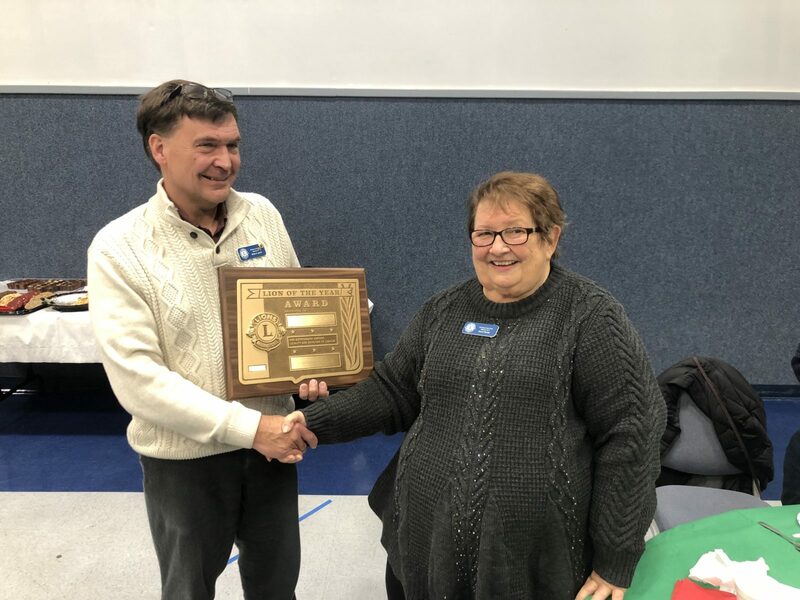 Besides enjoying some holiday cheer and a fine meal, we also recognized Lion Carol Teufel as our Lion of the Year. Lion Carol does a lot of work behind the scenes to help arrange eye exams and glasses for needy individuals within our community. We also recognized Lion Brian Lynch for his two years as Club President, and presented a Melvin Jones Fellowship to Lion Ron Snavely for his ongoing contributions to the club and community throughout the years. For more pictures from the event, see this photo album.